VAT: What does the 2 year rule mean? One of the conditions to qualify for reduced rated renovations and alterations on residential property is that the property must have been unoccupied for the previous 2 years. But what does this mean exactly? In practice, it means that the contractor/supplier can only charge the reduced rate of VAT if you can prove that nobody has lived in the property for at least 2 years, otherwise you will have to pay VAT at 20%. 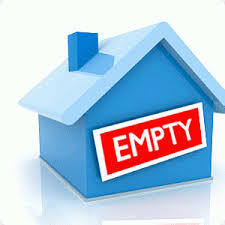 The first “empty home condition” applies to properties which are unoccupied when the renovation/alteration work starts. So this applies if the contractor starts working before anybody moves into the property. non-residential use, such as business storage. As far as HMRC is concerned, any other use is regarded as occupancy for the purposes of the 2 year rule; even if it’s only for a short period of time or in an emergency situation. The second “empty home condition”: if the property is occupied while the work is carried out. This applies if you have to move in while the work is being carried out; for example if you’ve had to sell your current home before buying the new home and need to move in straightaway. the construction services are carried out within 1 year of the occupier acquiring the dwelling. A “single household dwelling” is defined in Notice 708, s14.4 . See Notice 708, s8.3.4 for further information about this. How do I prove to my contractor that the property has been unoccupied? The best evidence is a letter from the “Empty Property Officer” at the local council confirming that the property hasn’t been lived in during the 2 years concerned. HMRC says this is sufficient evidence to confirm that the property qualifies under the “2 year unoccupied” rule. If the EPO isn’t able to confirm that the property has been unoccupied, they will usually give an estimate of the last time the property was occupied. You can look for other evidence from the local electoral and council tax records and other sources such as utility companies. HMRC usually accept a combination of such evidence. Finally, do I have to provide a certificate to the contractor to confirm that the work qualifies for the 5% rate? You don’t have to provide a certificate to contractors IF THE WORK IS DONE TO DWELLINGS. You normally only have to provide a certificate if the work is being carried out to other types of residential property, such as a residential home or hospice. See VAT Notice 708, s17 for more information about the circumstances when you have to provide a certificate to your contractors. Once you’ve got the evidence to prove that the “empty home condition” is met, the next step is to agree which parts of the work qualify for the reduced rate, because certain services are always liable to 20% VAT. I’ll talk about this next time. Next Post Renovation: What sort of work qualifies for the 5% rate?